Contains alpha lipoic acid*1 and coenzyme Q10*2 (skin toning ingredient) that gives your skin a full firmness. 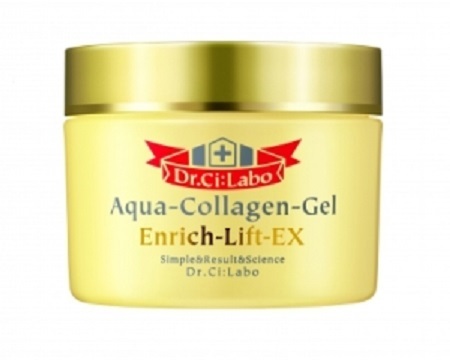 Lift Complex*3 (skin toning ingredient) adds smoothness to your skin and creates a supple, lustrous skin. Golden Lift*4 (skin toning ingredient) helps maintain healthy skin. 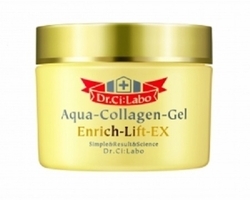 Contains collagen and hyaluronan (moisturizing ingredient) that keeps your skin moisturized and youthfull. A comfortable fragrance that relaxes your body and soul! When you're busy or tired, you want simple one-step moisturizing skin care. That's just what this moisturizing cream delivers: combining the functions of lotion, emulsion and essence into one effortless step. In addition to moisturizers such as Hyaluronic Acid and Marine Collagen, it also contains Culture BB and Jojoba Oil to help create beautiful, trouble-free skin. 1. After washing your face, apply evenly using the spatula (use about two pearl-sized beads in the morning, and one cherry-sized ball in the evening). 2. Massage gently in an outward spiral pattern. 3. Use your palm to cover your face, and press gently to help it penetrate. 4. Finish up by massaging from the center towards the temples while stretching and lifting up.